Just a few years ago the Trane XR14 would have been a top of the line model because it offers a 15 SEER rating. Today, that puts it in the standard/high efficiency range, rather than “super” or “ultra high” Trane designations. It also makes it very affordable. Gil from Medford Oregon just had one installed and sent us his Trane XR14 Heat Pump price which we will duly note in our HVAC Prices archive. We offer this information to help you get an idea of costs as you start shopping for the best heat pump prices for your situation. 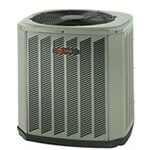 Trane XR14 4 ton, 48,000 Btu heat pump with compatible air handler, $4,259. Installation including extensive sheet metal work and venting: $3,100. Up to 15 Seasonal Energy Efficiency rating with 9.0 HSPF, both of which exceed Energy Star minimums. Uses R-410A refrigerant which is chlorine-free so it does not damage the environment. It is also more efficient than R-22. Scroll compressor is efficient and quiet with the inclusion of a sound insulator. Galvanizes steel cabinet is durable and strong; powder paint coating resists chips and rust. Solid warranty that covers the compressor for 10 years and all other parts for 5 years. That is a solid heat pump and should deliver 15-plus years of good service with regular maintenance. 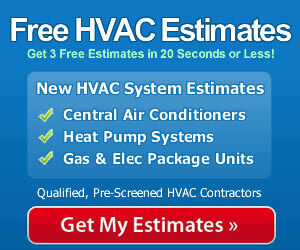 One of the reasons we encourage the use of a qualified contractor to install any HVAC system is that you’ll have a relationship with a professional that knows your system and can keep it in great working order over the years. This will extend your unit’s life and help guarantee that you continue to get maximum efficiency and comfort from your investment.